Just under 5 acres of land perfect for development as a Truck Stop, Hotel, Restaurant, or such. 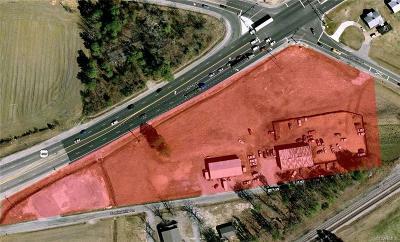 Property located right at the 1st exit off of I-295 as you head into Petersburg. Commercial Development all around property. Lot borders Rt. 460 and Rives Road. Existing buildings are sold as-is and not considered to be highest and best use.